Vietnam’s largest city is a fascinating mix of French Colonial architecture, modern sky scrapers and miles of streets filled with vegetable peddlers, bike repair shops and thousands of tiny, dark warrens of business activity. Crosswalks are ignored so pedestrians and bicycles just have to keep moving at a steady pace through the traffic. 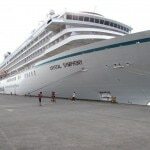 The adrenaline-inducing pedicab tour of Ho Chi Minh City was just one of the fascinating excursions offered by our ship, Crystal Symphony, on a recent five-country cruise in Southeast Asia. Crystal is one of the best cruise lines in the world and an ideal way to explore an exotic region of the planet that’s endlessly intriguing. 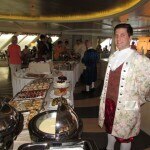 A bonus on this cruise was its Food and Wine theme and special Indonesian guest chef. There were also fascinating lectures and demonstrations on everything from spices to wine tasting to Southeast Asian history. Singapore is a long flight from North America, but the ultra-modern, ultra-efficient city is an ideal starting point to explore the region. The superb amenities aboard Crystal Symphony made jet lag disappear quickly. The 20-year-old ship has had several recent multimillion dollar refits and is maintained so well that it appears almost new. The ship is modest in size – a capacity of about 850 with a sizable, well-trained crew providing a level of service that’s rare on cruises. There’s abundant space throughout the ship with large, comfortable cabins and public areas providing plenty of room to move about. 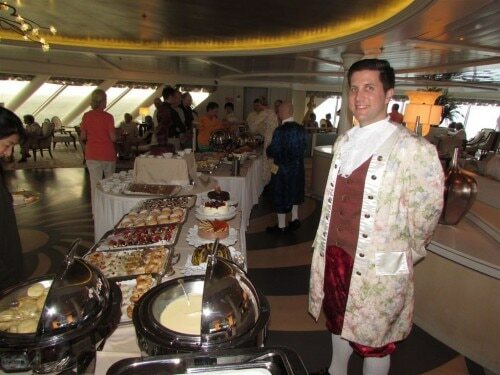 Our favorite areas were the tranquil Palm Court at the front of the ship (each cruise features an elegant Mozart Tea in this area, with servers dressed in formal 18th-century attire), the well-stocked library and the walk-around teakwood deck. Dining on Crystal is a delight. The main dining room is spacious and elegant with outstanding service by the mainly European-trained waiters. 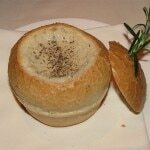 The cuisine was consistently good and presented with imagination and flair. Fresh fish is procured locally or flown in to the various ports of call. 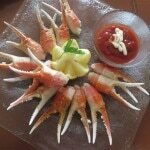 Each evening the menu had two sides – “Crystal Classics” (like king crab legs or coq au vin) and “Modern Cuisine” (like a trio of beef or fresh lemon sole). Diners can choose from a variety of excellent complementary wines. Two specialty restaurants – guests are allowed one complimentary visit each per cruise – offer outstanding Italian fare (Prego) or authentic Asian cuisine (Silk Road). 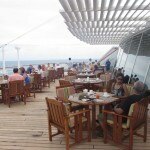 Both provide food and service on a par with the best on-land restaurants. The key evening entertainment venue is the spacious Galaxy Lounge. It’s on just one level but the sight lines are excellent and the ensemble of singers, dancers and live band members offer a variety of Broadway-style performances. On other nights there were cabaret acts or local groups brought on board to perform indigenous music and dance. The itinerary on our 12-day cruise was ideal. The ship stayed two days in Ho Chi Minh City, where we visited the War Remnants Museum and the Cu Chi Tunnels, an area peppered with hidden tunnels and sharp-spiked booby traps used against American troops during the Vietnam War. A welcome day at sea took us to Borneo, the world’s third largest island, and Kota Kinabalu, East Malaysia. 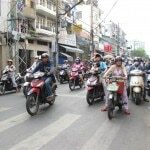 It was a relief to visit a relatively small city with very few motorcycles. An excursion to a cultural village, with local crafts, food and a dance demonstration, was a delight. The market in this tropical city is huge and we found several unique items (including change purses made from whole frog skins). 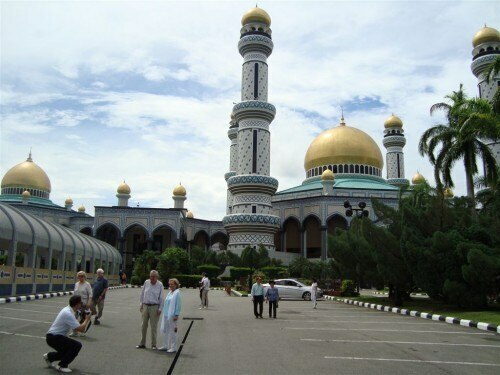 Surrounded by East Malaysia, the small and very prosperous country of Brunei was our next stop. 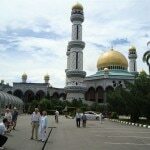 Fully independent from Britain since 1984, Brunei is ruled by the Sultan, who lives in a $1.4 billion palace with 1,788 rooms, 257 bathrooms and five swimming pools. Considered to be the largest residential palace in the world, the gold-domed structure is only matched in opulence by the country’s two largest mosques. Petroleum and natural gas wealth has made Brunei the fifth richest nation in the world—and it shows. Less opulent, but equally fascinating, was the Kampong Ayer (Malay for “Water Village”), where 30,000 residents live in houses on raised stilts along the Brunei River. The final country on our itinerary was Indonesia. Upon arrival in Surabaya, the country’s second largest city, we were greeted by an array of native dancers and musicians who invited us into the new cruise port terminal. With outstanding displays of native handcrafts and depictions of Indonesian history, it was one of the best cruise terminals we’ve ever seen. For the last leg of our journey, we visited Bali, Indonesia. Home to most of Indonesia’s Hindu minority, it’s the country’s largest tourist destination and boasts many excellent beachside resorts. Since our flight home wasn’t until the evening, Crystal arranged for us and several others to spend the day enjoying the pools and tropical gardens of the Nusa Dua Beach Hotel. 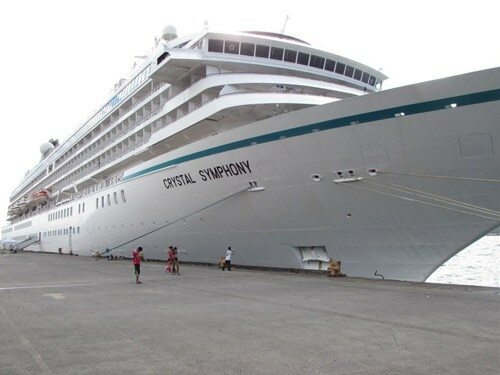 Crystal plans a Food and Wine-themed excursion at least three times a year on each of its two ships, Symphony and Serenity. For pampering service, outstanding cuisine and great itineraries around the world, it’s hard to beat this luxurious cruise liner. You can click on each picture to enlarge.